Who are We: Western Hills Humane Society and Spirit of the Hills Animal Sanctuary are two local non-profit organizations dedicated to honoring the value we pla2ce on the lives of our animals. Together we are collaborating to create a long term positive outcome for Blue with our “Build a House for Blue” fundraiser. 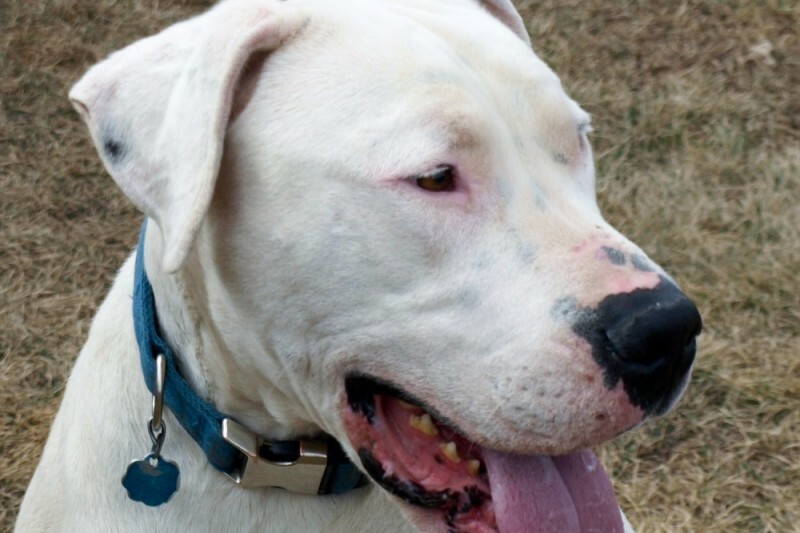 Who is Blue: He’s a BIG, 125 pound, beautiful Dogo Argentino, who was born deaf. 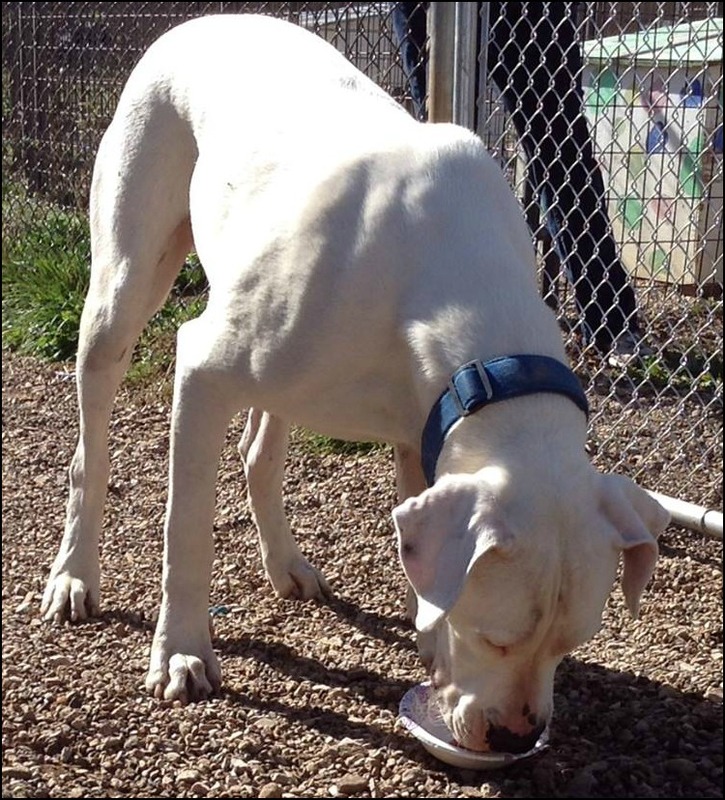 Blue arrived at Western Hills Humane Society in July 2014 when he was only 1.5 years old. He was surrendered by his family due to noise complaints from neighbors. The staff at WHHS immediately started working with Blue, learning how to communicate with him through sign. After months of training he was adopted…unfortunately though, he was brought back to the shelter after only a few weeks when he started showing aggression towards a family member in the home. Shelter Life: Upon Blue’s return to WHHS the staff has tirelessly worked with him, becoming more knowledgeable on how to deal with his special needs to ensure that his next adoption would be a success. Blue is big, he requires a lot of exercise and cannot be left alone in an unfenced yard. He has short hair and gets cold quickly in South Dakota winters but also overheats in the summer months and sunburns easily. 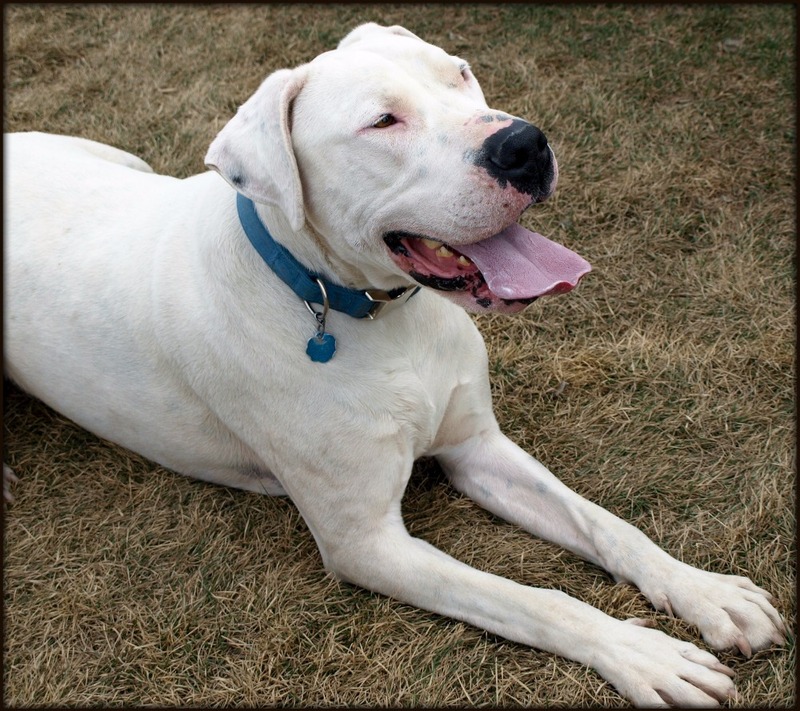 Blue has a strong prey drive; Dogo Argentino’s are bred for big-game hunting and because of this he cannot be in a home with cats, rabbits, or other small animals. He thrives on routine and works best with a small group of caretakers whose schedules are the same day to day. Blue requires a very dominate caretaker and if his schedule changes he needs to be kenneled so he feels safe again. He has limits and triggers. Since Blue’s arrival he has worked with two dog trainers as well as a dog behaviorist. 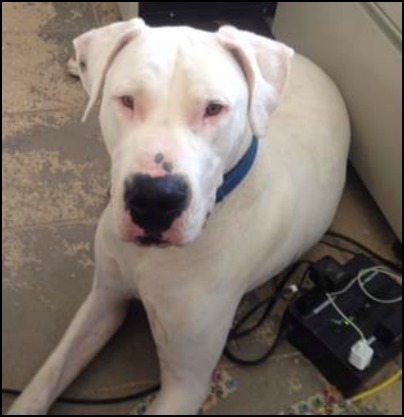 We have contacted Dogo rescues and numerous large breed rescues across America only to hear repeated words, “It is going to be very, very difficult to successfully place Blue in a home.” This is heartbreaking; he’s not a bad dog he just needs the right opportunity to succeed. Blue has made several human and dog friends during his time with WHHS and we all love him dearly, but the shelter is not equipped to be a permanent home. Blue needs a place to hang his leash, settle in and call home. Blue’s Future: In our efforts to secure Blue a furever home, the Spirit of the Hills Animal Sanctuary has stepped forward with an offer to create a space for him at the sanctuary. Unlike WHHS, Sprit of the Hills Animal Sanctuary is prepared to care for animals for their lifespan. Blue will have the space that he requires and the consistent schedule that he craves, as well as the companionship of other special need dogs. However, in order to build Blue an adequate house with heat and provide care for his lifetime we find ourselves needing to reach out to our fur-loving community and beyond to help us raise capital to make this happen for Blue. We cannot do this alone, we need your help! Let’s get to work on a FUREVER HOME for Blue, he deserves it. Blue was on the front page of the Black Hills Pioneer! Saturday is a big day for Blue. We will be working up at the sanctuary cleaning and preparing to set up Blues inside enclosure. His temporary outside area is ready for him so he will get to go with us and hang out for the day. He won't be moving there permanently quite yet, but with us around will be able to explore and get comfortable in his area so when the day does come to move he will be familiar with his surroundings. There is still a lot of work to be done, but we are moving right along! Progress update on Blue! We are moving right along. A dumpster was ordered today to have on site at the sanctuary to start cleaning out the building which will be Blue's future home. Tomorrow - March 16th - from 5-7 at Crow Peak in Spearfish a portion of all beer sales will go to Blue! Come join us for appetizers from local chefs and a Brew for Blue :) April 4th Sip-n-Paint in Spearfish is donating their evening to Blue as well. We went today and picked out the cutest picture to paint! We are encouraged with all the community support we are receiving. We are still a long way from our goal, but everyday gets just a little closer. Thanks everyone! 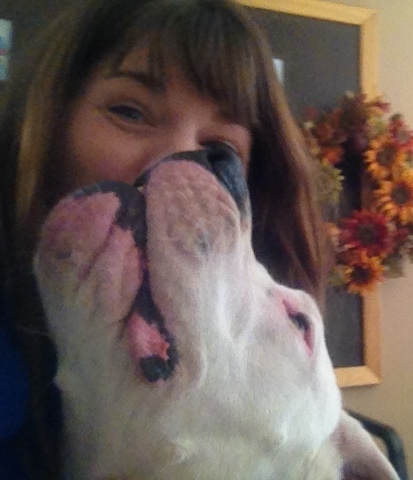 Thank you so much Western Hills Humane Society for caring so much for Blue. He is truly a very special boy. Build Blue a big beautiful house for him and his friends. We love all animals and hope one day they will all be taken care of and there would be no more animal abuse. God Bless You Blue and WHHS. Bless You and Bless Blue.....may He Receive All the Love & Attention he Deserves! Thank You Western Hills Humane Society and Spirit of the Hills Animal Sanctuary for All You Do! Thanks for all you do and especially helping Blue find a forever home.